Some people automatically assume that Limousines are only for the rich and famous or only for when someone is getting married. But little do these people know that now a day’s Limousine Services are used for more than what was perceived. At Kavanagh Limousine Service, we believe that every milestone or event in your life deserves a celebration. We regularly provide services to our clients who are celebrating an Anniversary, Birthday, Stag or Stagettes. That being said, there are still other events in one’s life that should be celebrated, so why not take a Limousine to that Special Celebration. Home to the 2010 Winter Olympics. 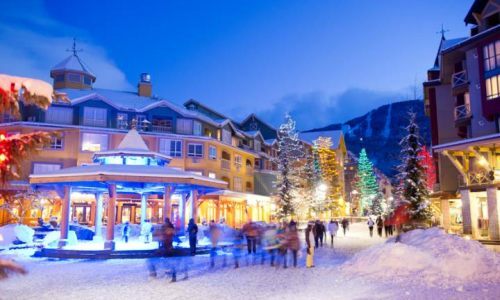 There are many things to do in the Village, the heart of Whistler. Stay in a centrally located hotel, walk the Village Stroll, indulge yourself at one of many places to eat and browse the unique shops. The Village is located at the base of the lifts, making access to Whistler and Blackcomb Mountains convenient for skiing, snowboarding and Sightseeing. Whistler Village is big enough to have all the amenities expected of a world-class resort, yet small enough for you to feel its unique mountain culture and distinctive hospitality. The peaks of Whistler and Blackcomb Mountains were linked with the opening of the brand new peak 2 peak Gondola. This multi record-breaking lift allows skiers, snowboarders and, in the summer, hikers, faster access to the award-winning terrain on both mountains. Whistler took part in the Winter Olympics as an Official Olympic venue. Although the 2010 Olympic and Paralympic Winter Games have come and gone, Whistler’s spot on the world stage was firmly established. Fanstastic Olympic legacies like the Whistler Sliding Centre, Whistler Olympic Park and Whistler Medals Plaza as well as the Mountain Bike Park and the record-breaking PEAK 2 PEAK Gondola make Whistler a world-class, four season destination. Let Kavanagh Limousine Service transport you in luxury and in Style while enjoying the beautiful drive along the sea to sky highway. You will truly experience the luxury of our limousines which are equipped with a full bar, TV’s, state of the art sound systems, fiber optic lights and a plush leather interior. At Kavanagh Limousine Service we are dedicated to making your experience unforgettable as we take great pride in getting our clients to every destination in comfort and style. At Kavanagh Limousine Service, we know that as a business professional you require professional chauffeur services for your business travel needs; Whether you are requiring an Airport Transfer, City to City Transfer or an Hourly Service to take you from one meeting to another or you want to impress a client by taking them out to a dinner or a sporting event. For our business professionals who prefer a discrete low profile Limousine Service, we have the types of vehicles that won’t be so flashy but at the same time won’t compromise the Luxury of a Limousine. In our fleet we have Black Sedans SUV’s and Passenger Vans such as the Lincoln Town Car, Cadillac DTS, Cadillac Escalade, Chevrolet Suburban’s and Mercedes Sprinter Vans. No request is ever to small or too big for our outgoing staff and chauffeurs, we want to go the extra mile so you don’t have to. Come experience the difference in quality and service that only Kavanagh Vancouver Limousine has to offer. Nothing beats starting a vacation off in the right foot, this is why we especially suggest that you book our service to get you to and from the Cruise Ship Port. 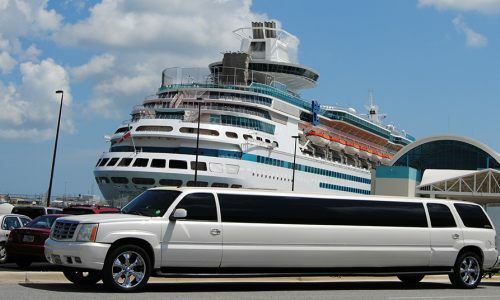 Our company is licensed to take you right to the Cruise Ship. Our chauffeurs have cleared background checks and have clearance from the Port of Vancouver to drop off passengers where the general public has no access to. We will drop off a step away from luggage check in, you have started your vacation the moment you left your home, so why hassle with hauling your luggage around a busy Cruise Ship Port? When you return after your voyage, we will be waiting to transport you safely to your to complete your journey with a cherry on top. When you exit the Cruise Ship, you will be guided to the commercial vehicle pick up area, there will be a phone to call the holding area where all the Limousines are held for passenger pick up. When we arrive at the holding area we will check in with the a Port of Vancouver worker, who will make note of your name. When you make the call to the holding area, we are given a entry pass to come in to the commercial area to pick you up, which is literally within 5 minutes of your call. Our chauffeur will store your luggage while you relax in our comfortable Limousine and then drive you to your destination.